Country cottages, romance, humour and making dreams come true. The wonderfully romantic novel from the No. 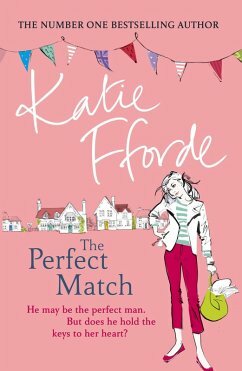 1 Sunday Times bestselling author of Recipe for Love, A French Affair and The Perfect Match. Katie Fforde was born and brought up in London but has lived in Gloucestershire with her family for the last thirty years. Her first novel, Living Dangerously , went on to be chosen as part of the WHSmith Fresh Talent promotion. There have been over eighteen novels since, as well as some grandchildren. Her hobbies, when she has time for them, are singing in a choir and flamenco dancing. Katie Fforde is President of the Romantic Novelists' Association. To find out more about Katie Fforde visit her website at www.katiefforde.com, Facebook and follow her on Twitter @KatieFforde. "A perfect match for an afternoon curled up on the sofa!"